At Boom Industrial, we strive for excellence in manufacturing high quality rubber, plastic and metal products. Our attention to detail and commitment to high quality for every project, coupled with our experience in the industries we serve, ensure that your molded, extruded rubber, plastic, or metal parts will exceed your expectations. There are many outdated metalworking methods responsible for lagging production times and skyrocketing costs that negatively effect your bottomline. We at Boom Industrial employ unique, up to date manufacturing processes that are designed to cut production costs. This includes a wide range of metal stamping, machining and forging services. Our state of the art equipment along with our talented design team can create precise custom products to your exact specifications and delivered within the specified time frame. Our complete in-house toolroom allows for rapid prototyping and production tool development. They work in tandem with our secondary departments which do the subassembly work and final finishing. What is most noteworthy about our company capabilities is that our metal tool production is completely in-house. That way we can keep the quality consistently high and delivered without delay. No matter how complex your design, we will work with you to develop the best solution for your metal stamping needs. Boom Industrial is the dependable source for exceptional quality metal products and cost-efficient production. Boom Industrial offers a wide range of custom plastic extrusion products for clients in the core industries of Agriculture, Automotive, Medical, HVAC, Heavy trucking, Dairy, Food & Beverage and more. 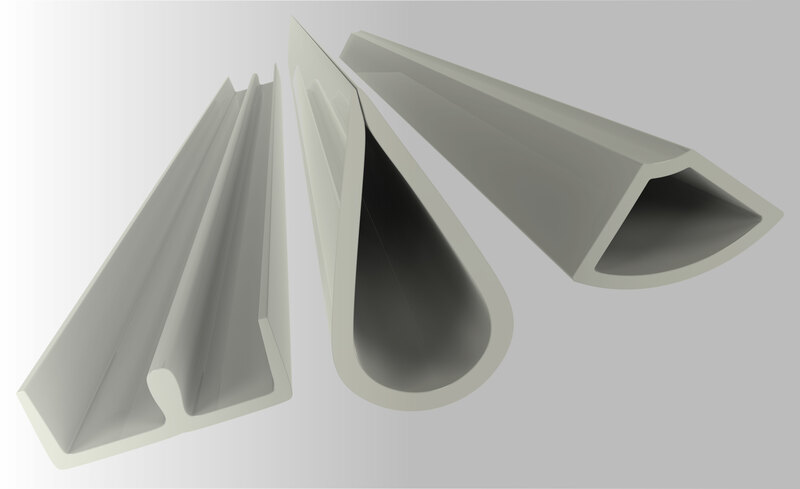 Extrusions are available in almost any profile and plastic compound, including Rigid PVC, Flexible PVC, PE, ABS, Polypropylene, TPE, TPU and Santoprene. We provide services that are unmatched thanks to our dedicated design team and state of the art technology housed in laboratory rooms. Boom Industrial's in-house tooling and extrusion manufacturing equipment lead to lowered production costs and also enables us to work closely with our customers offering solutions for simple to complex plastic applications. Our product design services and in-house capabilities allow us to control the entire production process from start to finish ensuring shorter production lead times, cost-effective solutions and competitive pricing. Let Boom Industrial take on your plastics extrusion application project today! Boom Industrial is a custom manufacturer of plastic molded parts since 1996. Being a relatively newer company, we take advantage of innovative machinery and state of the art equipment that are more cost effective and and will save you money long term. Boom Industrial supplies plastic injection molded components for a variety of industries, assisting them from simple to complex plastic applications. Our dedicated team operates 20 injection molding machines ranging from 40 tons to 700 tons in pressure. We can source and mold any grade plastic materials in a wide range of colors and formulations. In addition to plastic injection molding capabilities, we do secondary services from ultrasonic welding, metal inserting to assembly and printing. Boom Industrial precisely engineers all plastic compounds to customer specifications. At Boom Industrial, we are constantly innovating investing in new equipment to better take care of customer needs. Our goal is continuous improvement of the manufacturing process enabling us to produce and manage all your customized plastic injection molding needs. Boom Industrial is an ISO 9001:2008 certified manufacturer of custom rubber extruded parts. Capabilities include dense rubber extrusion, closed cell sponge rubber extrusion, co-extrusion, two color extrusion, extrusion with fabric reinforcement and extrusion with PSA backing. We can supply rubber extrusion cut to length or on reels, spliced or corner molded according to your requirements. 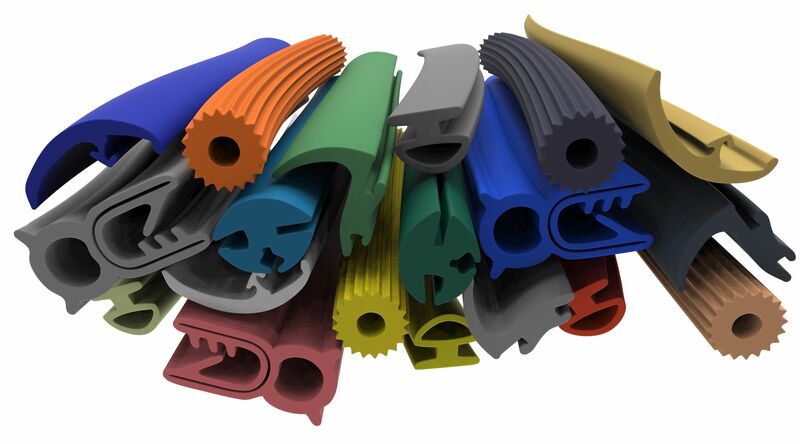 Our world class manufacture of extruded rubber products are designed to meet the specifications of customers from a vast variety of industries including automotive, heavy trucking, HVAC, RV and Food and Beverage. Our quality systems include: TS 16949, and ISO 9001. Our facilities operate under the Environmental Management System. At Boom Industrial, nothing is made standard, everything is made custom. Boom Industrial is a full service preferred manufacturer of custom rubber molded parts. 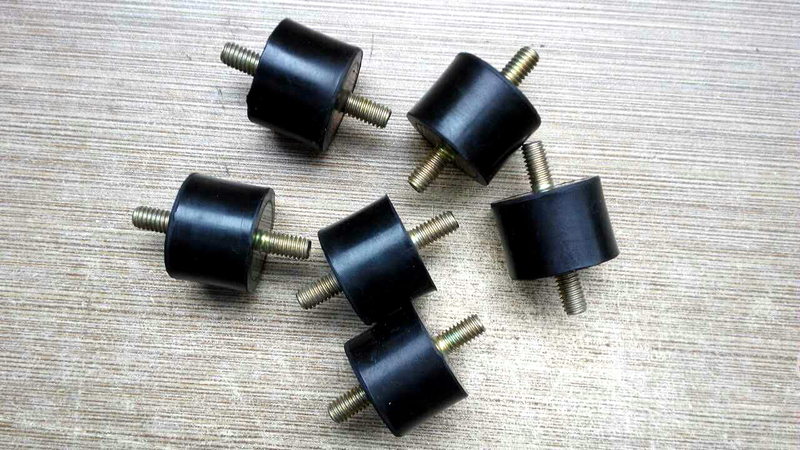 We have been molding high quality rubber components for over 20 years and the secret to our success lies in our superb technical personnel, great customer service, and in-house rubber compounds mixing capability. This allows us to produce high precision custom rubber components of a variety of sizes and profiles. Our rubber manufacturing capability is highly controlled and designed to produce parts that follow precise customer specifications. Boom Industrial employs methods such as compression, transfer and injection processes. Our injection molding process has been proven to reduce production costs for our customers from a variety of different industries. We will help you every step of the way from designing to shipping. Let Boom Industrial take on your rubber application project today! Compression Molding - we utilize cost effective compression molding technique to create rubber seals, gaskets, grommets and other complex parts. Transfer Molding – economical cost effective tooling for high precision components. Injection Molding – can produce many components per cycle, highly controlled and less expensive than traditional molding process. Boom Industrial has developed its rubber to metal bonding capability over many years. We have utilized several metals in combination with a wide variety of rubber materials. We can mold almost all rubber materials onto metals such as carbon steel, stainless steel, aluminum, copper and brass. Boom Industrial typically creates small and large parts using this capability for the automotive and locomotive industries which utilize rubber and metal parts for heavy vehicle applications. Our dedicated and experienced personnel that oversee the rubber to metal bonding process ensure the focus is on providing the appropriate contact surface, primer and bonding material to ensure a secure and reliable adhesion. Many years of knowledge and experience have equipped us to accurately identify the type of insert material, the rubber compound, type of chemical bonding agent and necessary primer that is going to be used. Therefore, rubber to metal bonding at Boom Industrial can save you time and money. Boom Industrial is your one stop solution for in-house, high quality and cost effective mold making. Our tooling department specializes in rubber compression tool making, rubber extrusion die making, rubber injection and transfer tooling, plastic injection mold making and die casting. 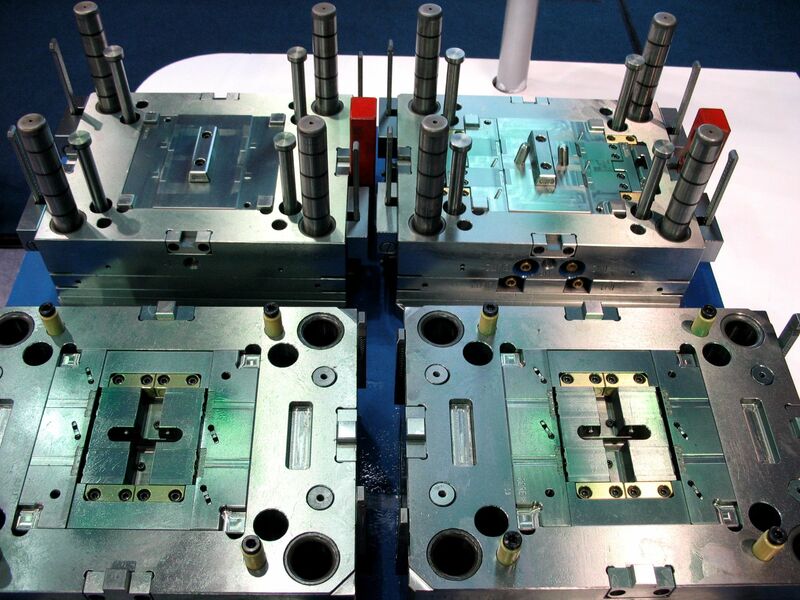 Our annual production output is more than 1500 set of molds. Our state of the art equipment allows us to produce molds that exceed customer expectations allowing them to save money long term. Our in-house tooling specialists collaborate closely with customers to find the right solution for all design requirements. At Boom Industrial, we only produce high quality molds at competitive prices.